Early AMD RX 480 4GB retail units actually have 8GB and it’s unlockable via a BIOS update. A discovery we made in our retail RX 480 4GB card. Which we have published a review of earlier today. We’d highly recommend checking out the review before proceeding, as some of the results were quite surprising. We bought our XFX RX 480 4GB retail unit straight from newegg on launch day for $199 and it’s still available as I’m writing this. We heard from other reviewers and publications that AMD supplied two BIOS profiles alongside the RX 480 review sample units. By simply switching between the two profiles the memory configuration changes from 8GB running 8Ghz to 4GB running at 7Ghz. Allowing reviewers to test both 4GB and 8GB configurations of the RX 480 with one card. Soon after the RX 480 was released some rumors began to surface suggesting that early retails units of the 4GB RX 480 are actually 8GB versions flashed with the 4GB BIOS. 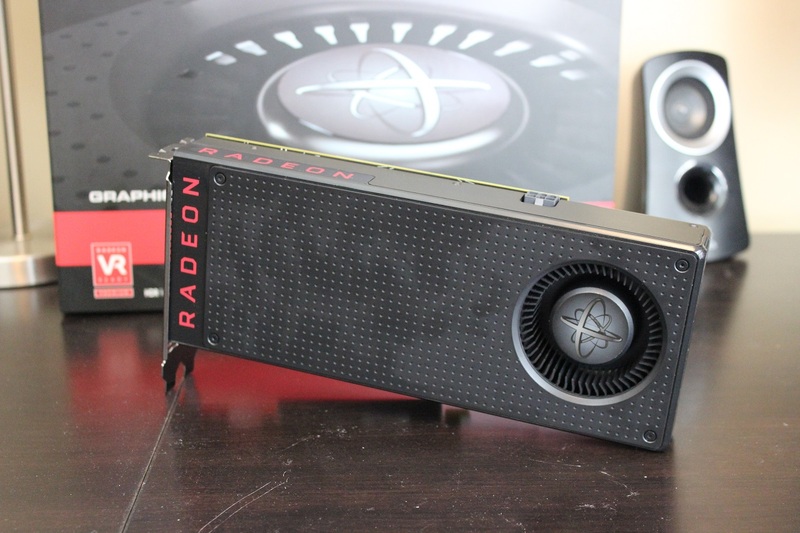 We thought that this was quite bizarre as the whole idea behind offering the 4GB configuration of the RX 480 was to cut costs and deliver the RX 480 at the more affordable price point of $199, vs the $229 MSRP for the 8GB configuration. The theory goes that AMD, sticking to its word, wanted to make sure that the RX 480 was available at launch for the advertised MSRP of $199. All the while supply of the lower density memory chips for the 4GB variant were still ramping. This meant that instead of going ahead with the launch and only having the 8GB RX 480 version available on day one, the company decided to bite the bullet and sell 8GB RX 480s with the 4GB BIOS instead. Essentially taking a $30 loss on every 8GB unit sold as a 4GB RX 480, to meet consumer demand. How many of these 8GB cards being sold as 4GB RX 480s are in circulation is still unclear. But if our retail RX 480 4GB unit is any indication we’re probably talking about all of the initial stock of 4GB RX 480 cards. Naturally we were very much intrigued by the rumors and wanted to see for ourselves. So we took apart our own RX 480 sample to look at the memory chips. Lo & behold, they’re the exact same one gigabyte 8Ghz chips from Samsung found in the 8GB RX 480 and GTX 1070. AMD Radeon XFX RX 480 4GB retail card with 8GB Samsung GDDR5 memory chips. In fact, we were able to find the specs for the chips quite easily on Samsung’s website. The GDDR5 memory chips in question are Samsung’s K4G80325FB. The reference RX 480, which is what our sample is, does not come with a BIOS switch. So there’s a serious risk of rendering the card a paperweight if things go horribly wrong and flashing fails. So naturally we wouldn’t recommend that you try this on your 4GB RX 480. At least not yet. Until a working 8GB BIOS leaks out and its success is replicated on multiple retail 4GB RX 480 cards this will stay as a “do it at your own risk” sort of thing. And remember, if you don’t have 8GB of memory on your card to beigin with, there’s nothing to unlock. So take a good look at the memory chips on your 4GB RX 480 first attempting to flash the BIOS. It will be interesting to see if the regular RX 480 8GB BIOS will work, we bet that it will. And that’s what we’ll be testing out over the next little while.